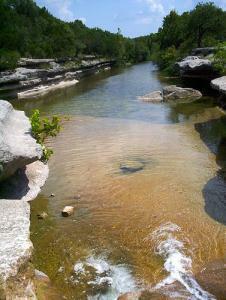 Comments: This is a nice long hike that crosses back and forth over Bull Creek. Be prepared to get your feet wet. Beautiful falls about half way through. Lost the trail once or twice but quickly picked it back up.